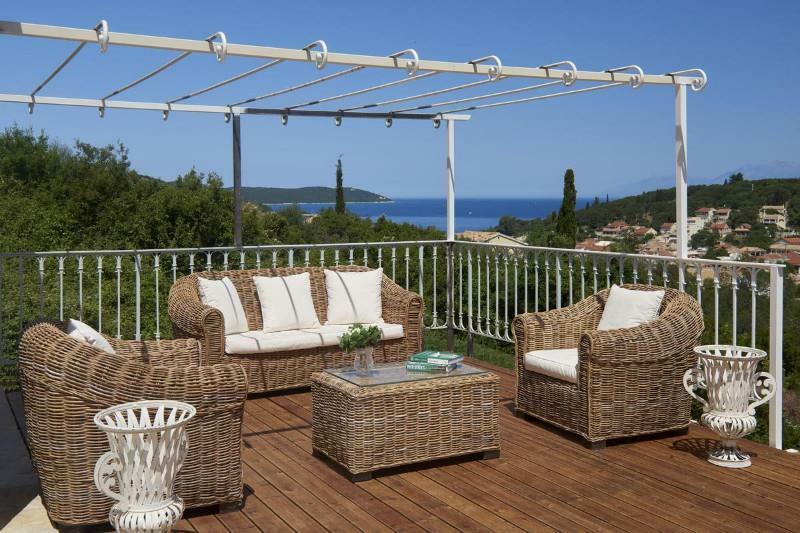 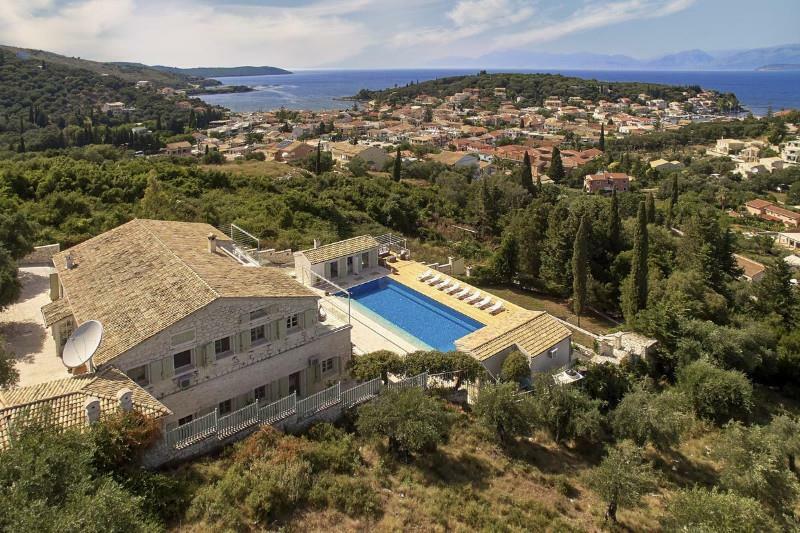 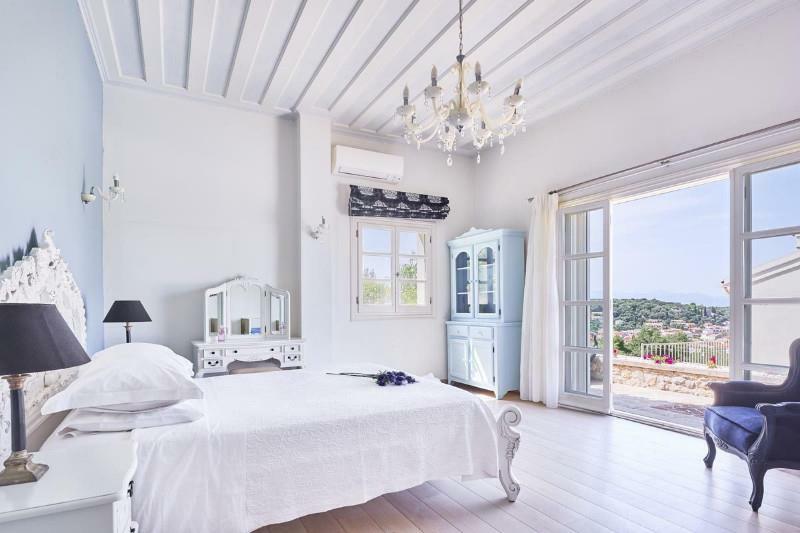 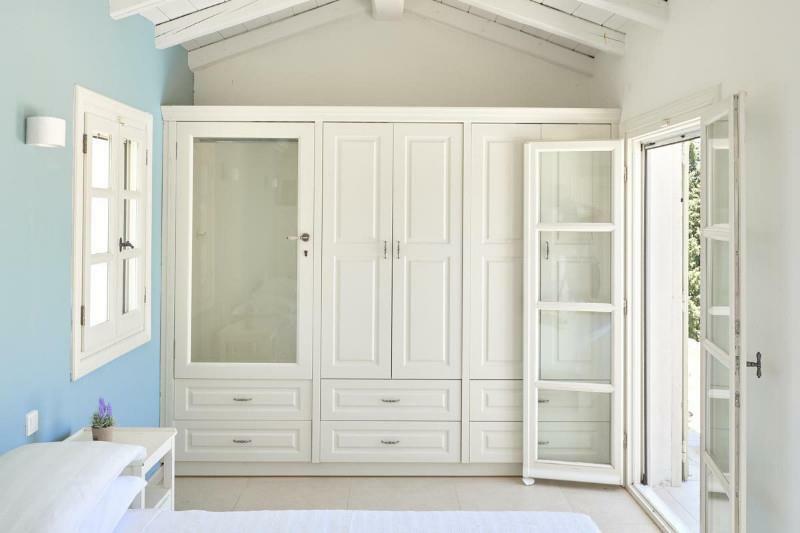 If you are looking for privacy, harmony and breathtaking view of the Ionian Sea, then Villa Melpomeni in Kassiopi is the ideal one for you. 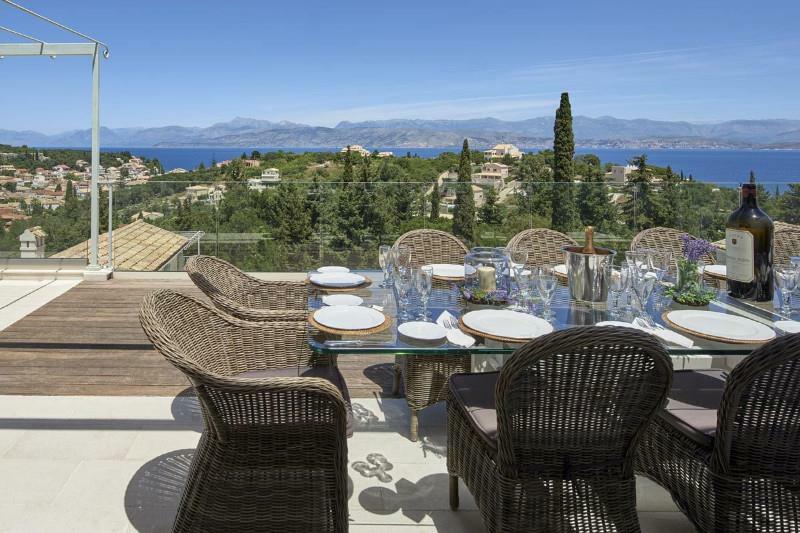 It is located in the north-east part of Corfu Island and it’s the perfect place to live the ultimate luxurious experience. 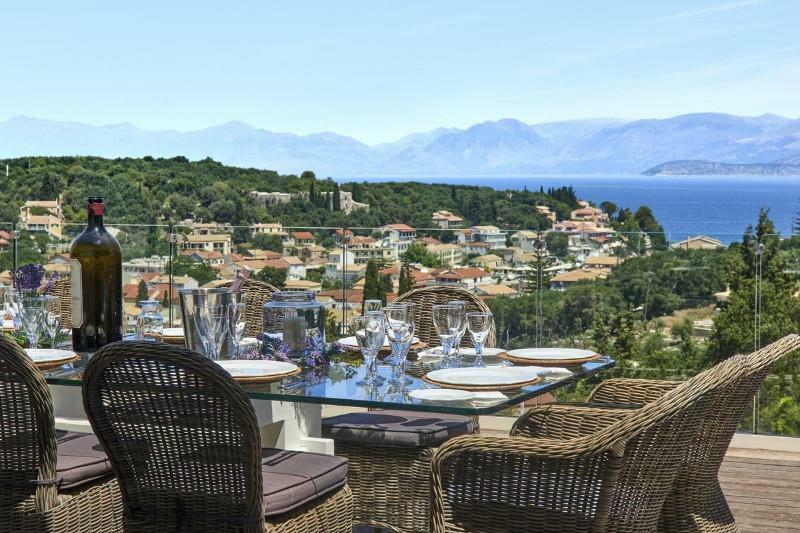 Near the sea and the beautiful village of Kassiopi, it offers you a big variety of activities, restaurants, bars etc. 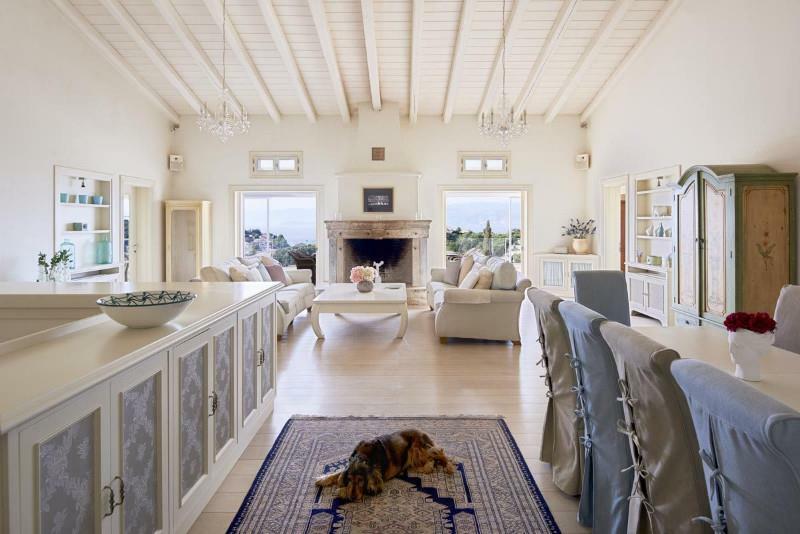 It’s an elegant villa which was built with locally carried stones that match perfectly with the verdant landscape. 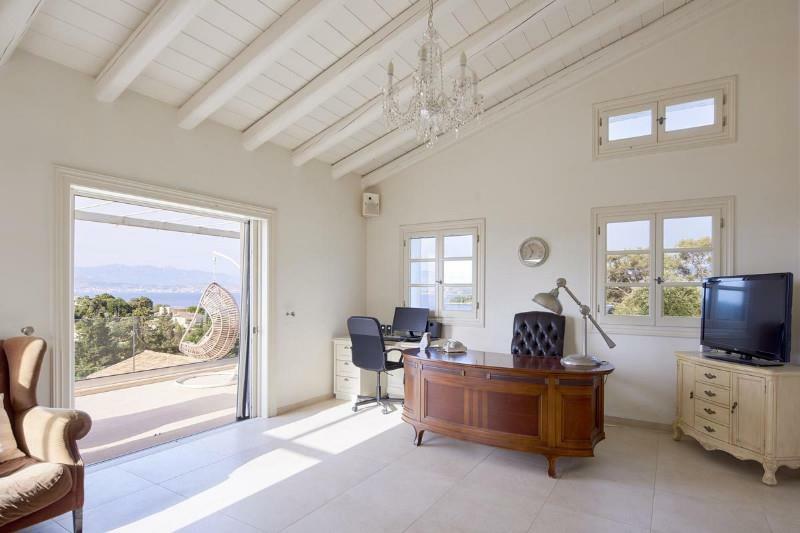 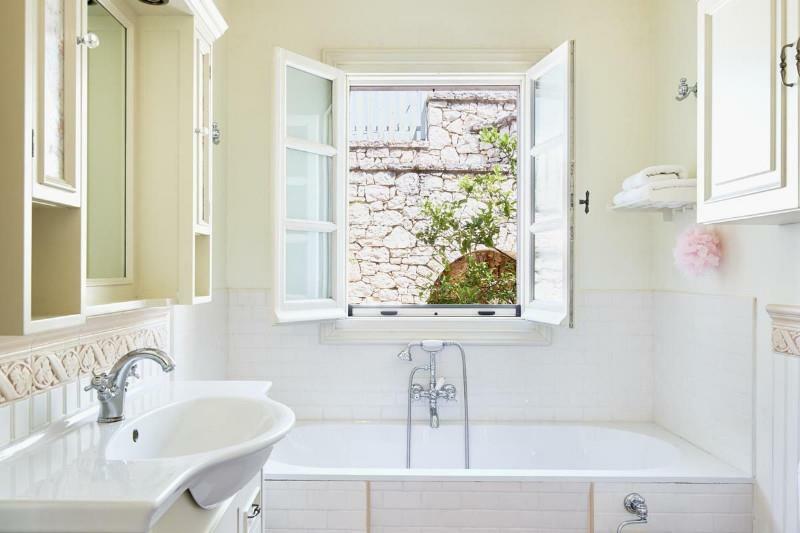 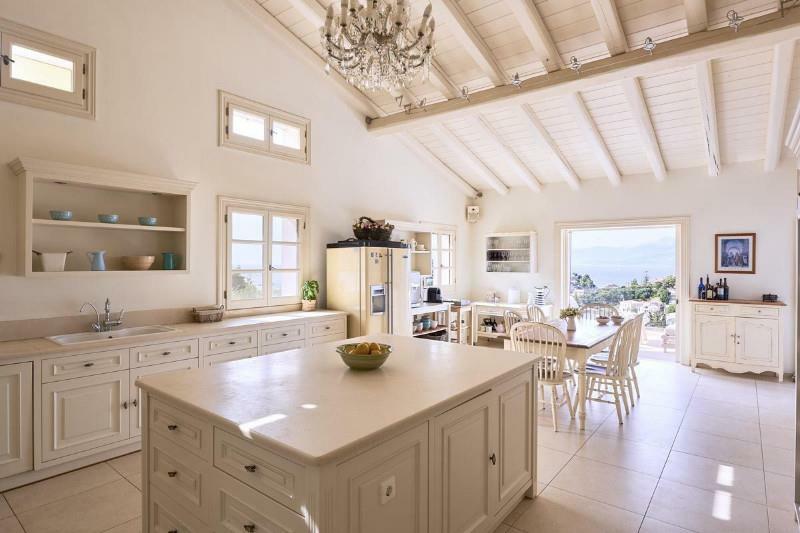 Villa Melpomeni accommodates up to 14 people and offers breathtaking and uninterrupted views from all the corners, whether you are inside or outside the house. 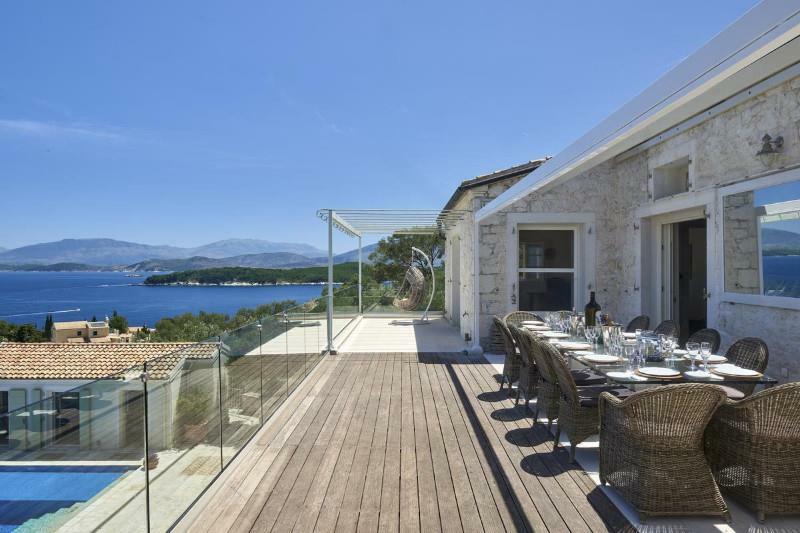 It was built with the concept of having constant eye contact with the azure water. 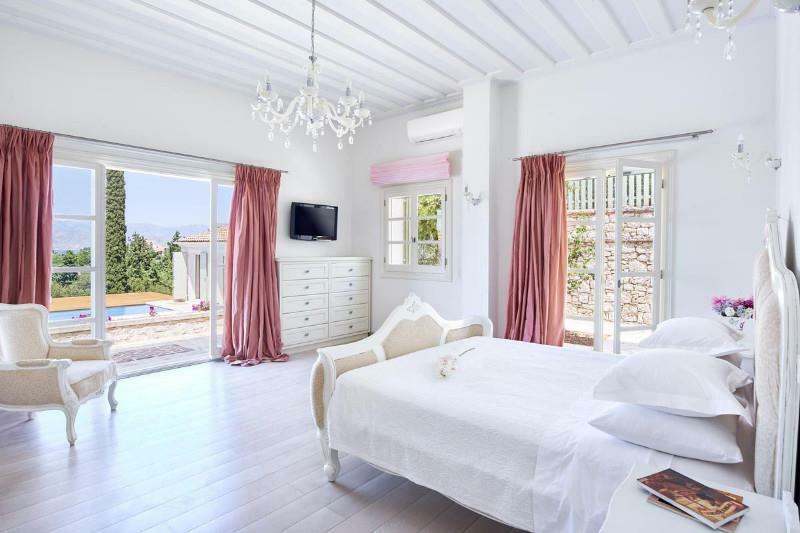 The interior of the villa is decorated with high-quality vintage furniture and it has some modern details in pastel colors. 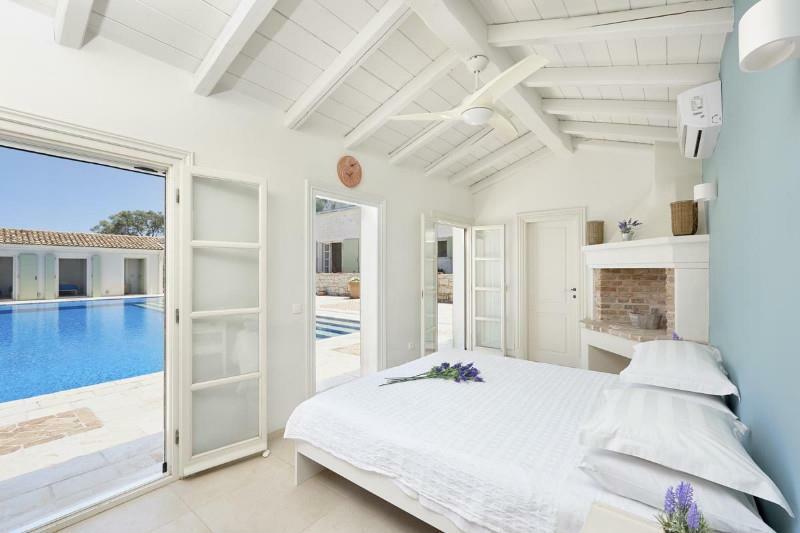 The villa has all the requirements to be a comfortable and luxurious holiday home for all the ages as it offers all the necessary indoor and outdoor facilities. 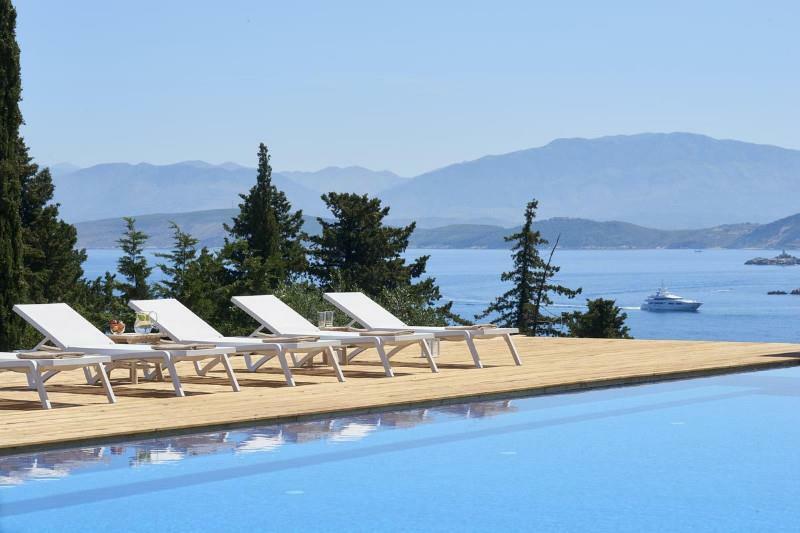 Outside you will find a spectacular 17m pool with many sunbeds and seating area to have a relaxing time overlook at the miraculous scenery. 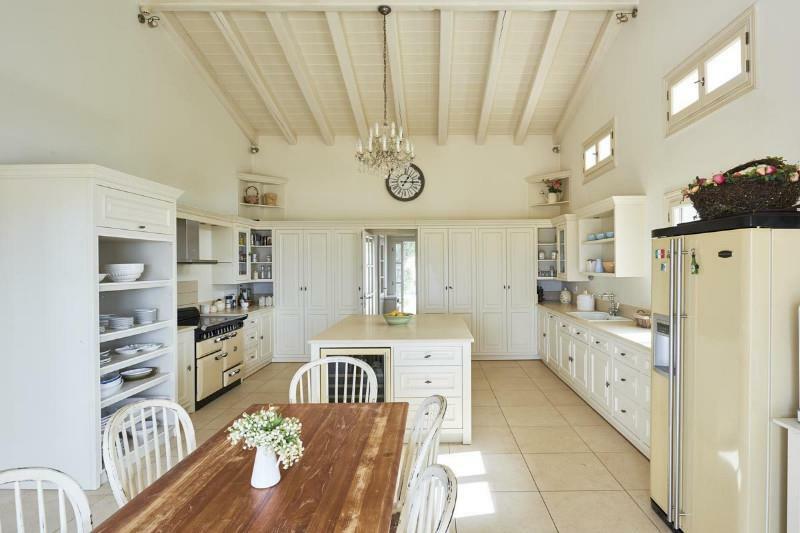 Furthermore, there is a well-equipment gym and a playroom with table tennis and table football. 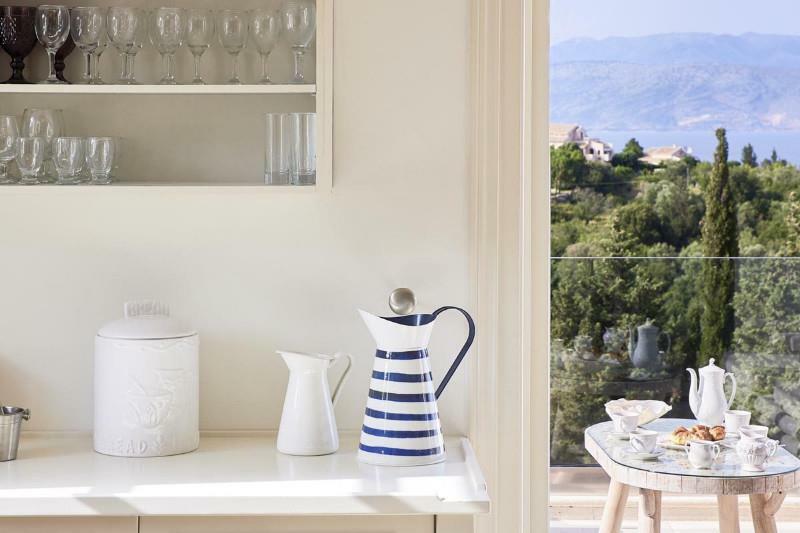 The kitchen is well equipped and outside there is a terrace with a big table to have your meal or dinner with a stunning view.